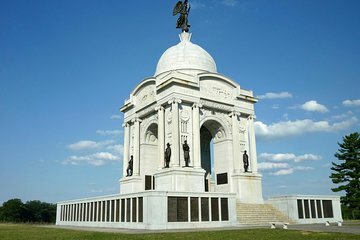 Besøk steder fra slaget ved Gettysburg på en busstur med en guide som forteller deg om fasene i 3-dagers kamp, ​​som var et vendepunkt i den amerikanske borgerkrigen. Du vil se Culp's Hill, McPherson Ridge, Devil's Den, Little Round Top og plasseringen av Pickett's charge. Hvis du er en historie eller krigsbuffer, ikke gå glipp av denne sjansen til å lære om et sentralt stykke av USAs fortid. Loved our tour guide. He was so knowledgeable and interesting. I learned a part of American history in details I never new before. I highly recommend this bus tour. 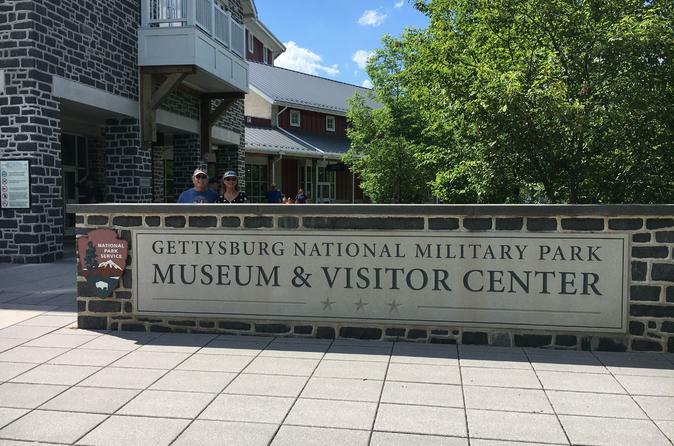 We had been to Gettysburg a couple of times before and loved it! The bus tour gave so much more detail and info to the wonderful history of the area. Our guide was very knowledgeable and excited about sharing what he knew. The guide was great and informative. They only let us off the bus twice, would have liked to have more time to see the monuments. After the tour we went back on our own to spend more time. It was our first visit since 1982 hubby's ancestors were a part of the 1th NJ Volunteers so our heart is definitely there. Our tour was on time, interesting, and the best choice for us. We were never rushed and our guide certainly knew his history. We enjoyed the tour a lot. Our tour guide was very knowledgeable and explained everything in detail. It was easy to follow along. Our tour guide, Mike, was very informative and fun to listen to. We really enjoyed this tour. Our guide was very knowledgeable and willing to answer questions. His delivery was well paced and easy to understand. our driver was excellent!